FRANKFURT/LONDON -- Germany's auto industry is losing hope that trade tariffs with the UK can be avoided, several executives have told Reuters, despite warnings from British Prime Minister Theresa May that an overly tough stance on post-Brexit commerce would seriously harm the country's EU partners. "[German Chancellor] Merkel may force us to walk away from UK profits for the sake of preventing further EU fragmentation," said a senior executive at a German luxury carmaker. The executive, who asked not to be identified because of the subject's sensitivity, said Brexit looks increasingly likely to be "a disaster" for trade and for German manufacturers. BMW Group, along with the Germany-based European arms of General Motors and Ford Motor, which all have UK plants, know trade barriers would bring large, currently incalculable costs. Under World Trade Organization (WTO) rules, UK exports of complete vehicles could be subject to tariffs of up to 10 percent. Ford, the UK's biggest engine maker, warned of 2.7 percent duties on engines ahead of last June's Brexit referendum. Duties on components such as gear boxes and brakes shipped from the UK would likely vary around the 3.7 percent average currently levied by the EU on similar imports from third countries, according to the WTO, unless a preferential deal is struck. May recently vowed to take the UK out of the EU single market that allows tariff-free trade in order to gain more control over immigration. At the same time the prime minister argued for the "greatest possible" market access. But Angela Merkel responded that London should not get an attractive Brexit deal that might encourage other departures. Much is at stake for carmakers in general, and the Germans in particular. About every other car built in the UK is destined for another EU market. German-owned brands claim more than one-third of UK car sales. Think tank Civitas estimates that if the UK leaves the EU without a trade deal, German automotive exporters would pay 1.8 billion pounds ($2.3 billion) in tariffs, nearly half the total 3.9 billion pounds faced by EU-based firms. UK-built vehicles and parts, on the other hand, would be hit by tariffs of around 1.3 billion pounds, according to the group. But German car bosses are unwilling to undermine Merkel's position. Merkel recently reiterated that EU governments would not negotiate Brexit terms until London had triggered the irreversible "article 50" leaving process, before adding pointedly that business leaders should show similar restraint. That sentiment was quickly echoed by Matthias Wissmann, head of Germany's influential auto industry lobby, the VDA. "Everything must be done to allow the unfettered flow of goods and services," he told reporters. "But there is one clear priority: we must stand together among the 27 EU member states." Wissmann's counterpart at the UK's SMMT car industry group also warned UK lawmakers that BMW, Daimler and Volkswagen Group may not push too hard for free trade. German carmakers see "Europe as more important than the UK market," SMMT chief Mike Hawes told a parliamentary committee in January. "They will align with what is best for Germany." BMW employs in the region of 8,000 workers in the UK, including at its plants which export roughly 2.4 billion pounds of vehicles and engines, most notably a large majority of the Mini and Rolls-Royce cars assembled there. 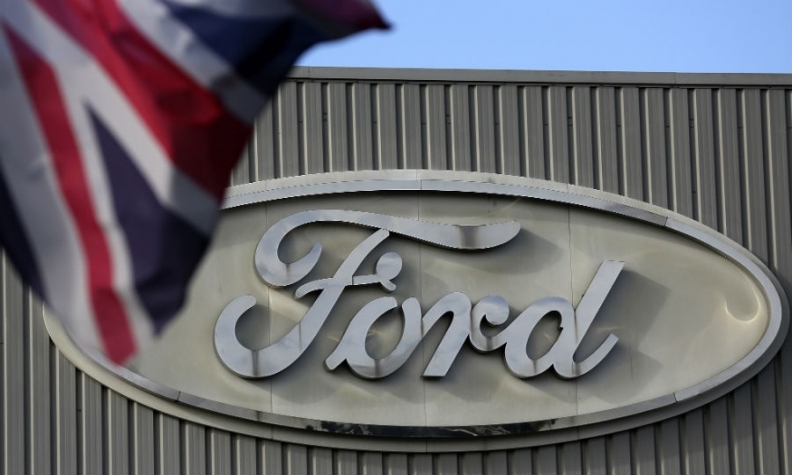 Ford, which has warned against tariffs, builds engines in Dagenham and Bridgend for vehicles assembled in mainland Europe. GM builds Opel/Vauxhall Astras on Britain's west coast and expects Brexit to have wiped $400 million from 2016 earnings. "We are worried," said a director at the German unit of a major global carmaker. "I don't expect there will be special deals for any industry." Trade duties on components, which can cross the Channel several times before a vehicle is assembled, would require costly supply-chain upheaval to avoid a compounding of duties. Raw castings from mainland Europe are machined into engine blocks at BMW's Hams Hall plant near Birmingham. Many are then shipped to Germany and fitted into cars destined for the UK. In all, UK car plants purchase 59 percent of their components overseas, and two-thirds of those from the EU, the SMMT says. Even where cross-Channel supply chains stayed viable, border formalities would hurt delivery timings, raising warehousing costs and ultimately consumer prices. Locally made components would become more attractive for UK-built cars, but the UK assembly plants could find it harder to win new vehicle programs in the first place. Investing in an assembly line for the British market alone - rather than export - becomes viable only above an annual output of about 150,000 vehicles, industry experts explain. For many models, Exane BNP analyst Dominic O'Brien said, "the UK market is not necessarily big enough to sustain its own dedicated plant." Again, consumer choice and prices suffer. Some German carmakers have been more vocal in urging Britain to give ground, stressing attachment to their EU workers' freedom of movement. "Not only free trade but also cross-border employment opportunities ... are of proven benefit to business," BMW said. Still, huge unknowns remain, including French and German elections this year that could change the direction of Brexit. Already there are some signs of dissent within the governing coalition between Merkel's conservative CDU and its Social Democrat SPD junior partner. Brexit should be used to spur EU reform, not deter would-be leavers, SPD Economy Minister Sigmar Gabriel said last week. "We should not purely focus on Brexit as a threat," he said. "Should we reach a good result in negotiations with the UK, it could serve as an example for a Europe of different speeds."